Club nights are held at the Dornoch Academy on Monday evenings from 6pm to 9pm when members meet to fly either indoor or outdoor models and if needed have flight training. Building and repair facilities are also available using club owned equipment. Outdoor flying activities take place at both the Academy's sports field and Dornoch Airstrip. 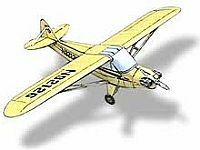 Dornoch Model Flying Club is open to new members of all ages interested in enjoying this fascinating hobby and where beginners and visitors are particularly welcome.